Every day is burnt match. 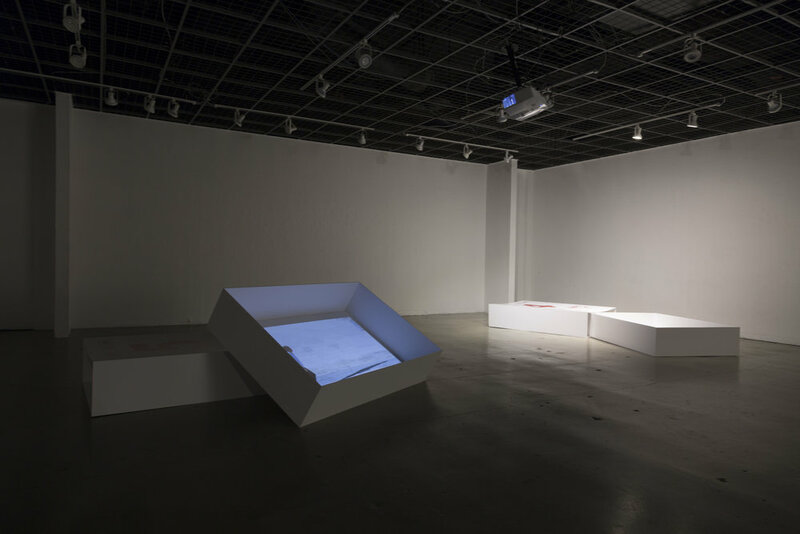 The thesis exhibition, Days in the Matchbox: Apr.2-Apr.6.2018, is a body of project that references and follows the Fortune Calendar. The fortune calendar, also called “Yellow Calendar”, and “All Knowing Book”, was a calendar published by the emperor to guide agriculture in ancient times. Nowadays, the calendar primarily functions as a guideline for selecting dates and times for events. It reflects the idea of respecting nature and the universe, and also provides the good wishes in the face of constant uncertainties. The exhibition follows the fortune calendar system in terms of time, space and events. Taking the analogy of match as every day, four body-size matchboxes, representing the containers for four days during the show, is stacked in the center of the gallery before the first day. As the day proceeds, each matchbox is put down at a specific position as the calendar guides in the gallery space. Each piece of work contained in the matchbox is based on the suggested activity for the day written on the calendar. Apr.2, Monday, the first day of the thesis show, has a matchbox functioning as a pinhole camera that captures the open hours, 1-5pm, in the gallery. And the contact print is hung on the wall on the next day. Apr.3, Tuesday, the second day of the show, in response to the event: moving, presenting 6 shipping boxes of dated matchboxes with one burnt match in each one of them since my birthday. During the open hours, 3-5pm, I perform gestures of packing and unpacking with them. Apr.4, Wednesday, the third day of the show, represents bed placement, which culturally refers to the ceremonial bed placement in the new place especially on occasions of wedding. 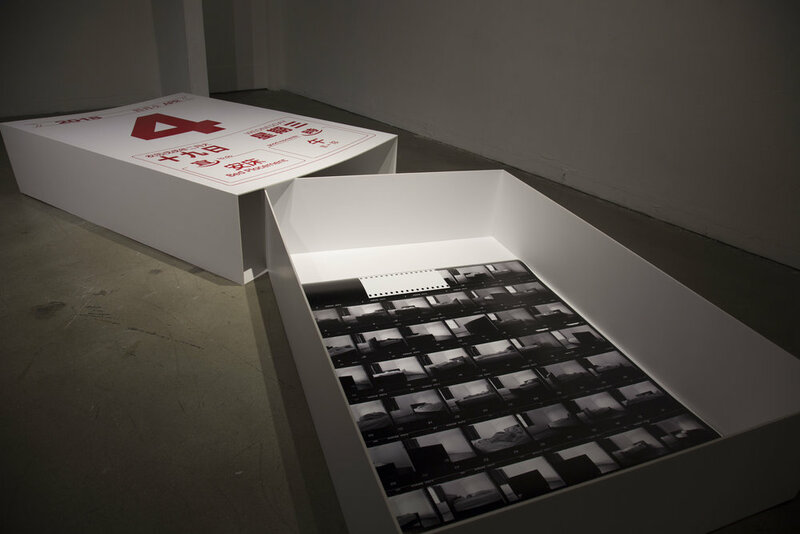 The matchbox contains a mural print of the contact sheet of 35mm negatives of beds in different positions in a bedroom. Apr.5, Thursday, the fourth day of the show, opens from 11am to 3pm, follows the event of travelling. A video is projected into the matchbox. The content of the video is I jumping the hopscotch game with a soundtrack of me reading times at different time zones and trying to catch up time. Apr.6 is a day for nothing appropriate to do, so there is no work shown for the day.